In Storyboard Pro, using the Brush tool, you can draw with textured lines, as well as create or select your own textures. 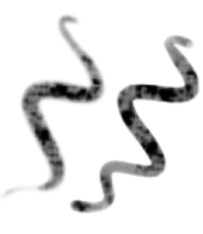 When drawing with texture brushes on a vector layer, each individual stroke is still kept as a separate stroke until flattened. 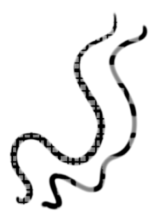 You can select the strokes and move them around after you draw them. Also, the colour is applied to the whole stroke. Advantage: File sizes are light. Disadvangage: Cannot get as artistic a look out of the drawing. RecommendedUse: For clean drawings, sketchy vector drawings, drawings you want to reuse, and drawings you might want to use from different distances (close, mid, far), background you want to reuse. When drawing on a bitmap layer, you are simply laying down individual pixels on the canvas. The colour is applied on a pixel-by-pixel basis. Also, you cannot select lines after you draw them and move them around. Instead, you work more like you would on paper, drawing then erasing. Advantage: You have full artistic control over the drawing. Disadvantage: It is difficult to reuse this drawing at different distances. RecommendedUse: For drawings that incorporate a lot of texture and shading, or need that extra artistic feel. NOTE: The textured brush only works with the Brush tool. It does not work with the Pencil, Line, Ellipse or Rectangle tools. In the Tools toolbar, select the Brush tool or press [Alt]+[B]. ‣ On a bitmap layer, select the Textured Tip option and then select the Select Texture option. ‣ On a vector layer, select the Select Texture option. ‣ Hardness: The hardness value corresponds to the smoothness of the line edge. The lower the value, the more blurry and smooth the line edge will be. The higher the value, the sharper the line edge will be. ‣ (Vector layers) Minimum Opacity: This value corresponds to the transparency of the brush when the pressure is very light. Values closer to 0 produce a more transparent line. ‣ (Vector layers) Maximum Opacity: This value corresponds to the transparency of the brush when the pressure is heavy. Values closer to 1 produce a more opaque line. ‣ Select Texture: Lets you use and select a texture for your brush. The thumbnail displays the texture currently in use. You can also browse for a texture file to import. Browsing for a texture file in a brush already using texture will replace the file currently in use, although it will not replace the texture in the lines already drawn. ‣ Texture Scale: Changes the size of the texture in the lines you draw. If you are using a plaid texture, the squares will be larger if you increase the value and smaller if you decrease it. 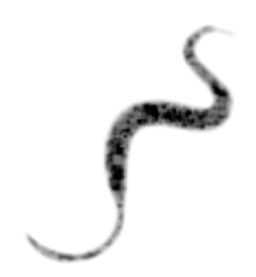 To create your own texture brush, you must prepare your tiled texture file in a third-party software, such as Adobe Photoshop. If your image has transparency in it, it will be supported. The texture file must be either a .PSD or .TGA file. NOTE: It is recommended that you maintain your texture resolution between 100 x 100 pixels and 400 x 400 pixels. 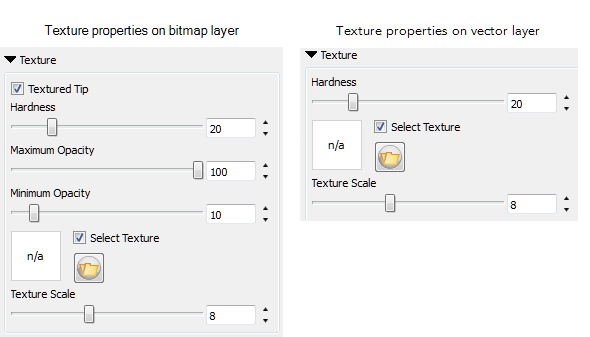 In the Texture section, select the Select Texture option. Click the Folder button and browse for a bitmap texture file. In the Tool Properties view, click the New Brush button to add a new brush to your list. ‣ The colour of your texture will not be used. Instead, the dark and light areas will be used to determine the alpha in your texture. The current colour swatch will be used in conjunction with the pattern and alpha in your texture. In the Camera or Drawing view, draw some lines and adjust the parameters to fit the style you are looking for.